Curious as to why Facebook encourages you to save your phone number with them, especially when you use Messenger? Well, here’s one of the reason why, the social networking company just announced a new app called Hello, that will show you who’s calling you using information that are readily available on Facebook. The app is a test by the Messenger team. It acts like a caller ID app however, instead of just showing you the name of the caller, it will show you additional information taken from Facebook such as your mutual friends with the caller, his birthday and such. Don’t be too worried though, Facebook says that they will only show info that people have already shared with you on Facebook, so all private things will remain private. 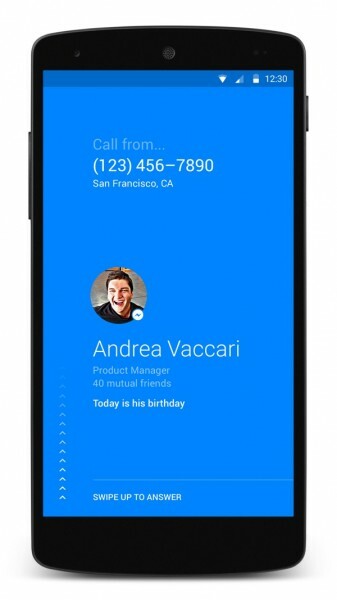 Facebook says that this will make it easier for users to find people and even block unwanted calls. In addition to that, Hello is also beneficial to companies as it makes it easier for the public to discover them. 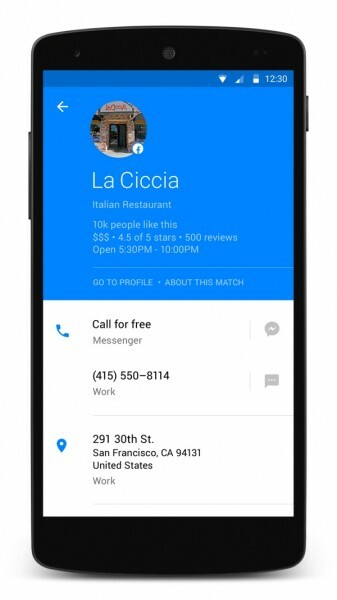 For example, if you hear about a new restaurant in your neighbourhood, you can use Hello to find their hours, make a reservation and get directions all within Hello. The app is currently in testing phase and is available for download in the Play Store. It is geographically limited at the moment (only available in Brazil, Nigeria and the US), but if you’re interested, stay tuned because it might be launched elsewhere too. Meanwhile, I guess it’s time to review your Facebook account again and make sure most of your information are set to private because this new app will make discovering users a whole lot easier.